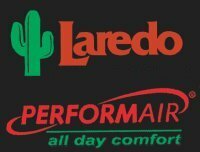 Laredo boots are America's choice for western, work and casual boots for Men, Women and Children. Known for great fit, comfort is built into every style. Quality materials are used to produce these well made durable boots. Laredo offers a broad selection of styles, colors and sizes. Dan Post Boot Company, proudly produces Laredo boots.